Steven Glaser, professor of piano, performs frequently throughout the United States and abroad with solo recital appearances in Orchestra Hall, Chicago; Merkin Concert Hall, New York City; and numerous recital tours of Israel, Europe, the Far East and New Zealand. He has performed on recitals series in Tel-Aviv, Jerusalem, Kaohsiung, Taipei, Corfu, Chicago, Cleveland, Columbus, San Francisco, Salt Lake City, San Antonio, and New York City. Among the chamber ensembles he has performed with are the Alard String Quartet, Thouvenel String Quartet, Quadriga Piano Quartet, and the Con Fuoco Duo with clarinetist Robert Walzel. The Con Fuoco Duo’s first compact disc, entitled Con Fuoco: Duets for Clarinet and Piano, received outstanding reviews; the duo has concertized in the United States, Europe, and toured Africa as part of the Artistic Ambassador Program of Arts America, a branch of the U.S. Information Agency. 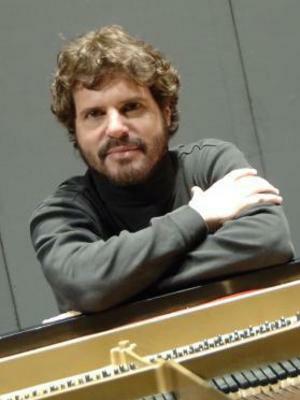 Glaser holds degrees from The University of Michigan and The Juilliard School, where he was a scholarship student of Nadia Reisenberg. He has garnered the top prize in numerous piano competitions including the prestigious New York Chopin International Competition, the Liederkranz Competition, and the Society of American Musicians Competition. He has been a visiting professor of piano at the prestigious Buchmann-Mehta School of Music at Tel-Aviv University and Capital University in the United States. Glaser is an advocate of Jewish music and a member of the distinguished faculty of the Melton Center for Jewish Studies at The Ohio State University. Prior to his appointment at Ohio State in 1994, he served on the piano faculties at Texas Tech University, Penn State University, and C. W. Post College.